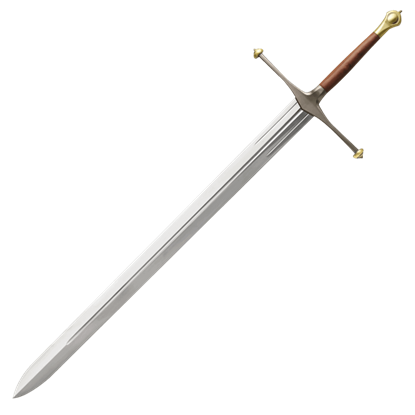 Here at Superheroes Direct, we bring you the swords and shields made famous by your favorite video games, movies, and comics. One of the most famous shields in comic book history, the shield of Captain America is available in a variety of sizes, colors, styles, and materials. We offer both costume shields for children and high quality collectible shields meant for display. 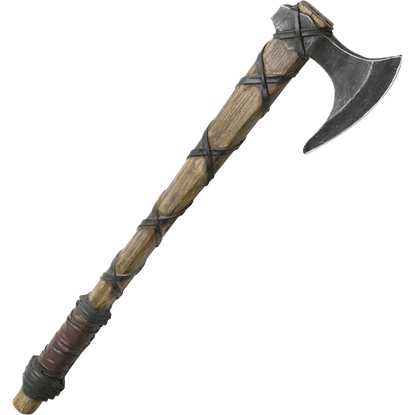 We also have a large selection of shields inspired by video games. 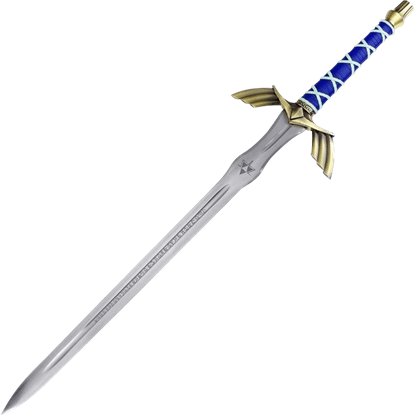 Adventure back to the Kingdom of Hyrule with our selection of Master Swords from the Legend of Zelda, including foam swords, wooden swords, and latex swords great for any Zelda collection or for completing a cosplay, as well as decorative stainless steel swords. Every great sword needs a shield, and we offer a selection Hylian shields made of lightweight foam for easy carrying, as well as polyresin shields great for display. 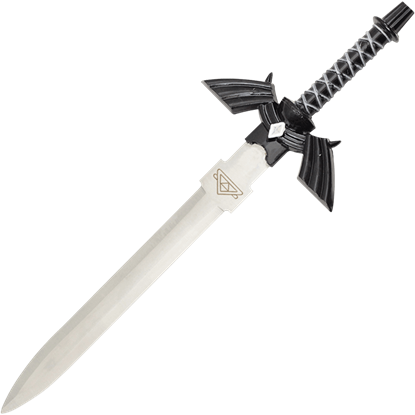 We also carry elegantly crafted collectible swords from the 2016 Warcraft film, made from high quality polyresin by Weta Workshop. Our Halo shields are made of sturdy wood and hand-painted, excellent collectibles for any intense fan of the Halo game series. 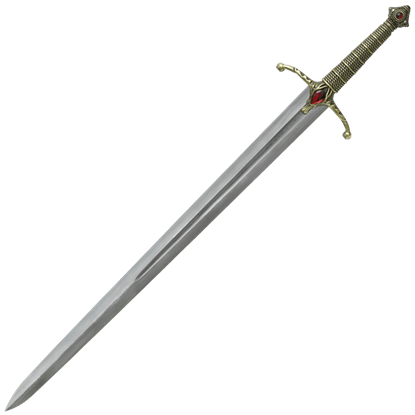 No matter what you carry into battle, it speaks volumes about who you are as a warrior. 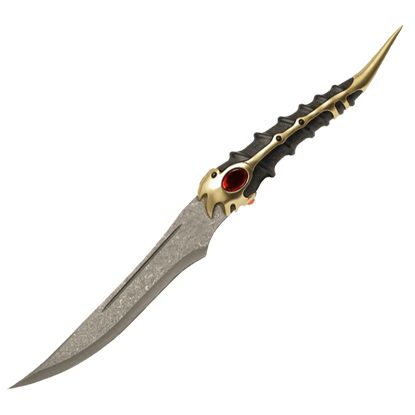 Our stainless steel Black Sacred Flames dagger is intricately detailed from point to pommel and it displays a distinctive inscribed triangle along the blade. 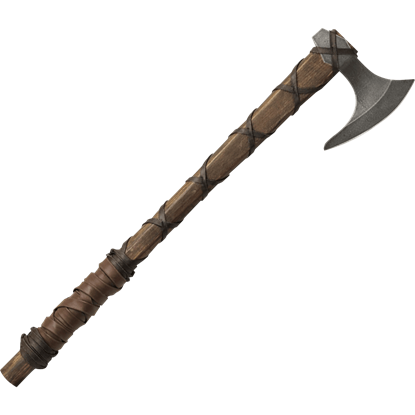 It is dangerous to go alone, take this! 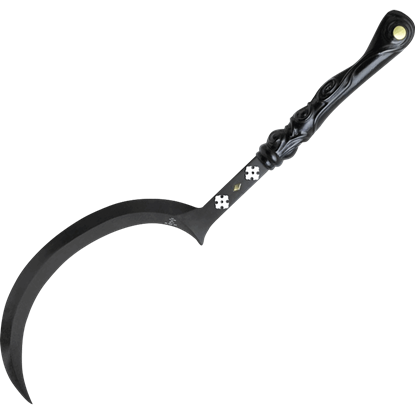 Our Darkness Sealer Sword with Scabbard features a full tang 1045 high carbon steel blade and is a unique hand crafted weapon with a variety of features. 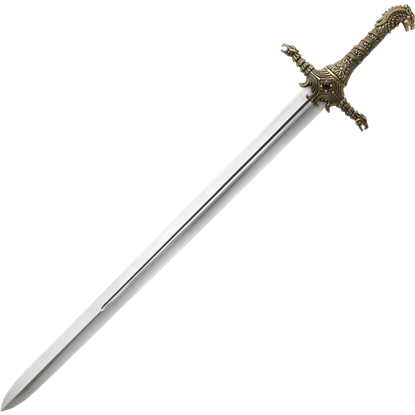 This replica sword is a must have for fantasy heroes. The wealthiest family in Westeros, the Lannisters of Casterly Rock ruled as kings in their realm until the Targaryen dragons conquered the continent. 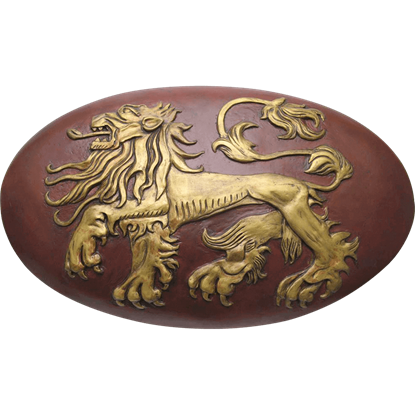 The Game of Thrones Lannister Shield makes a great collectible for fans to enjoy. Heroic and stately, the Godric Fantasy Sword is for those brave enough to wield its ornately detailed and bejeweled majesty. 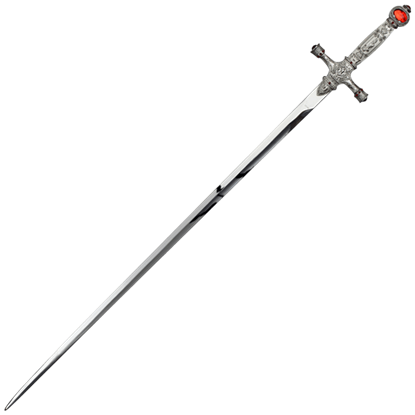 This stainless steel replica sword is inspired by the Sword of Gryffindor from the world of Harry Potter.